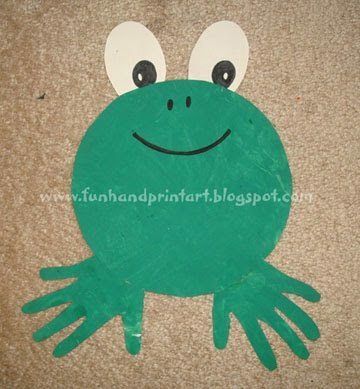 This Handprint Frog was fun to make! I gave my toddler a piece of paper and green paint which he happily spread all over the paper. 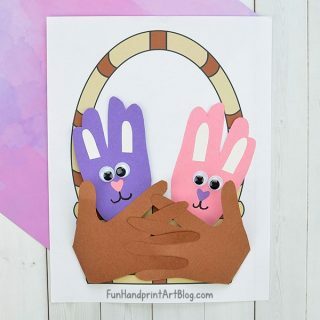 When it finished drying, I drew a circle on it by tracing a bowl as well as both of his hands. I cut out the shapes along with 2 white ovals for the eyes and then glued it all together. All that’s left is drawing on the facial features with a black marker. 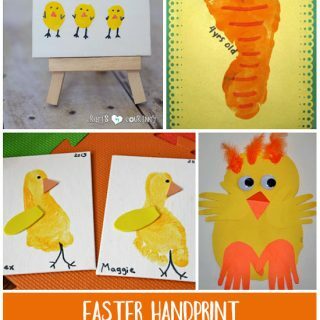 I LOVE handprint projects, I will have to give this one a try on our next warm sunny day, my children are extremely messy, lol.